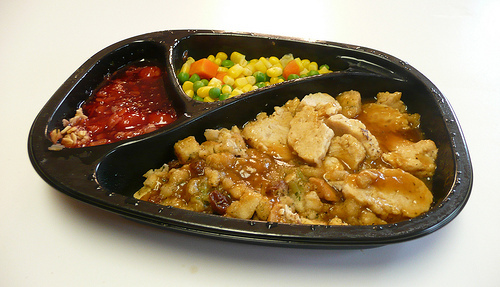 This post is filed under Carrots, Cherry Crisp, Corn, Frozen, Gravy, Healthy Choice, Microwave, Peas, Stuffing, Turkey. It’s a digital Panasonic Lumix DMC-TZ3K. well done. i do love healthy choice. but just wondering… what kind of camera are you using? 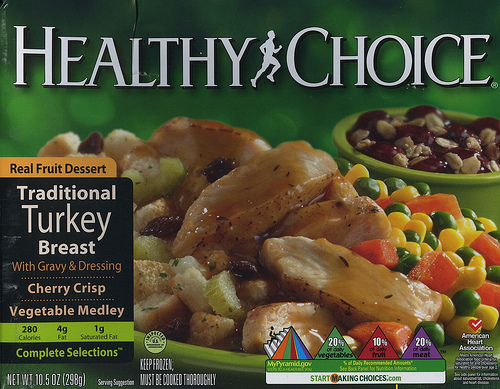 The Healthy Choice frozen dinners are my favorite. They’re one of the few that provides a reasonable number of ounces of food (most of the other brands leave me way too hungry and unsatisfied) for a diet-friendly number of calories. Almost all of the varieties taste good or very good (although my grocery store just stopped carrying my favorite one) and I like that you even get a little dessert, too!